Lovely Creations is hosting a Speed Scrap over at Scraps N Pieces on October 25, 2011 at 1 PM PST. 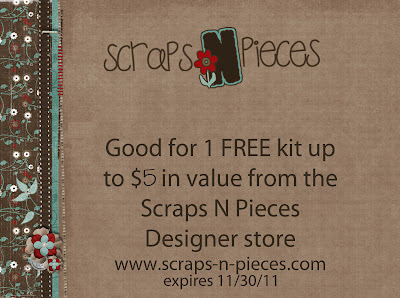 If you join in and complete a layout within the hour you will receive a $5.00 coupon to Lovely Creations SNP store. 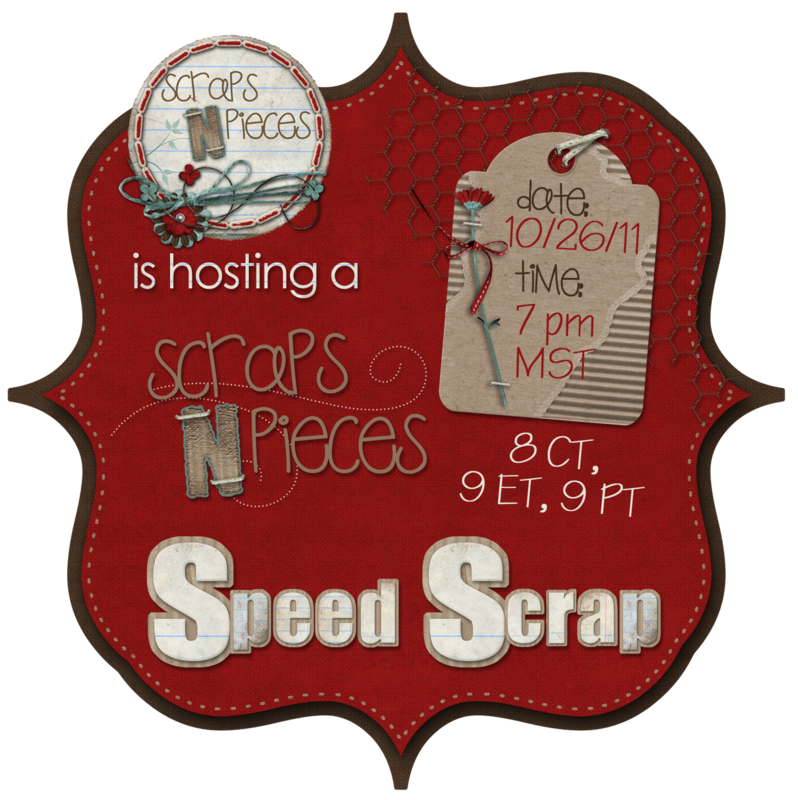 Scraps N Pieces is hosting a speed scrap on Wednesday in the SNP forum & chatroom. So, DVR your favorite shows and join us for a $5 coupon participation prize. It will be fun!